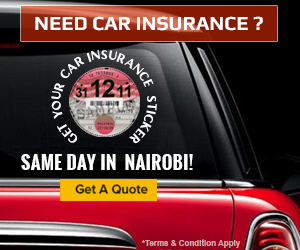 PESABAZAAR.com is a leading online insurance sales platform in Kenya. 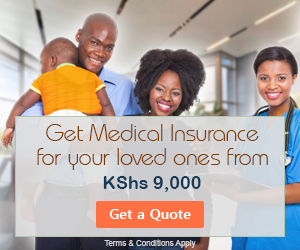 The award winning platform partners with all the leading insurance companies in Kenya to allows consumers compare insurance companies, products and prices and get insurance cover online. A dynamic and self driven individual to increase customer satisfaction by reducing turnaround time in receiving, processing and tracking of insurance claims. The successful candidate will play a critical role in managing the claims process and satisfying all the main stakeholders in the claims cycle. Reviewing of documents and pertinent requirements regarding an insurance claim. Ensure that the insurance claim made by the claimant is complete in form and complies with the documentary requirements of an insurance claim. To advise claimants regarding basic matters about their insurance coverage in relation to the insurance claim. Respond to both internal and external claims inquiries concerning benefits, claims process, service providers, and the filing/completion of proper forms. Recording and processing of all claims transactions to ensure they are accurately recorded. Prepare claims registers for claims meetings and update the various claims reports. Prepare initial claim letter and mail to insured, along with appropriate forms for completion. Track and follow up on receipt of necessary forms. Coordinate with the Underwriting department, Sales and Marketing, as necessary. Generally ensuring the highest level of quality customer service in the claims process. Any other duties assigned by the manager – claims. Basic insurance knowledge in insurance underwriting procedures. Diploma or an equivalent from a recognized institution. 1 year experience in a insurance claims or similar department. Candidates matching the role description and requirements should send a detailed CV, cover letter and copies of professional/educational certificates before application deadline. The customer service officer will support new and existing customers by answering questions, queries and resolving any business issues working with other company departments. Be the first point of call for all internal and external customer service queries. Assist customers by phone, email, chat and in person with any query that they may have with regard to their account or insurance policy. To make telephone calls to our customers to ensure that their account is up-to-date and to provide assistance should they have any queries. Take ownership of queries and proactively follow through to resolution. Handle new and existing customers, documentation and any other additional aftersales process. Work with the sales team to process new orders and ensure timely processing and delivery of client orders where applicable. Work with sales team to complete timely and insurance business renewals. Fluent English and Swahili speaking and writing. Team Player, Self-motivated, result-oriented and highly independent. 1 year experience in a customer service/facing role. An energetic and self motivated business development and sales individual to join a leading results oriented team. Develop sales plans in coordination with the Business Development Team Leader and General Manager to achieve set revenue goals. Provide recommendations for business growth and problem resolution. Respond to the client queries regarding the products in a timely fashion. Develop product quotations for new and existing customers. Develop creative strategies to retain the clients. Develop in-depth knowledge about business development practices, marketing activities, prospective clients and industry trends. Develop strong customer relationships in order to generate high volume of prospective clients. Meeting new customers to sell insurance and financial products. A Bachelor’s Degree or Diploma in a business related field. Experience in insurance or bank products sales will be an added advantage. Excellent knowledge in computer applications. Knowledge of the insurance and banking market trends in Kenya. Communication, organizational, negotiation, and analytical skills. High standards of integrity and a team player.